Savina Black Pearl is one of those jackpot colors. 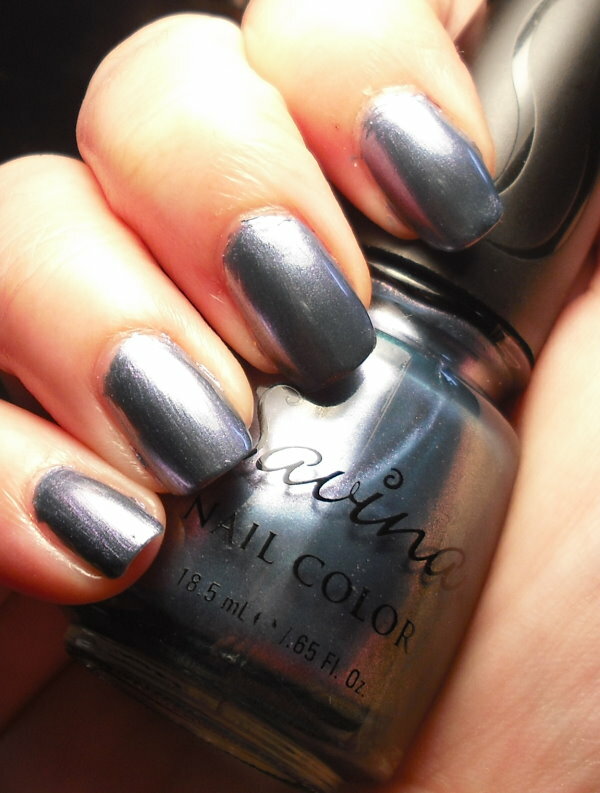 The wonder of Black Pearl is that is a beautiful duochrome, depending on the angle and light you see a different shade. While doing a tad bit of research and image searching on black pearls it seems to be that case that black pearls are not really a true black color. They do have a duchrome quality ranging from blue-purple-green-silver. This polish did an excellent job of capturing that. The only down side is that this Black Pearl polish doesn't come with Captain Jack Sparrow, but I think we'll live! To give you an accurate representation of Black Pearl I captured the polish from different angles and different types of light so you can see what I'm talking about. This is Black Pearl straight on with flash. It looks like a standard frosty teal. There isn't anything wrong with that, but this polish is way more interesting than that! Here is a side view of it with flash. At this angle it looks more like a grey-blue-teal frost. This is under a lamp. Here is where you can see the duochrome factor. It's a frosty-grey-blue with a hint of grey-purple duochrome. This is another angle under the lamp. Here it looks like a frosty steel with a hint of blue. Again another angle under the lamp. 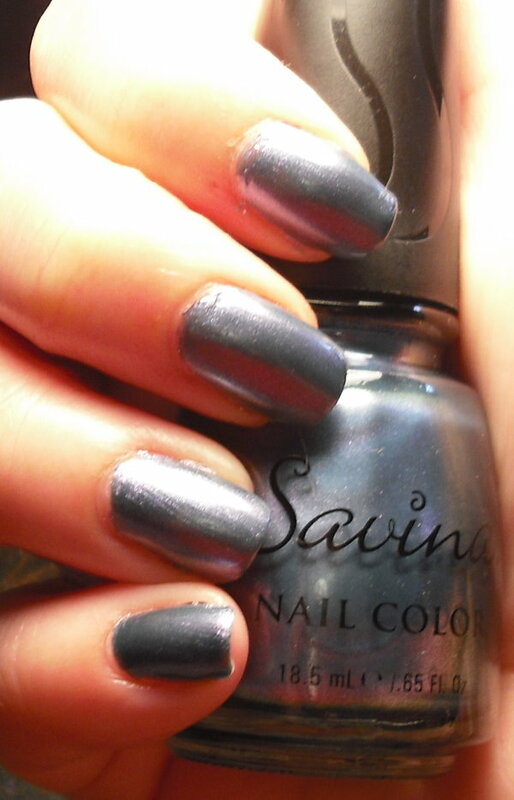 This one showing a hint more of the grey-purple duochrome. Yeah. Suffice it to say, I am in love with Black Pearl. What an amazing color that plays tricks with your eyes! 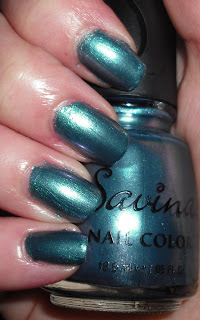 It's so different anyway you look at it, and for $4 you cannot go wrong what a winning polish! It's polishes like these that keep the nail polish world exciting. I really think some brands need to do a collection soley based on duochromes. I think that would be a winning collection all around! P.S. I'm getting in a China Glaze haul from Victoria Nail Supply! Swatches will come soon. I got some polishes from Vintage Vixen, Rodeo Diva, Retro Diva, and Up & Away! 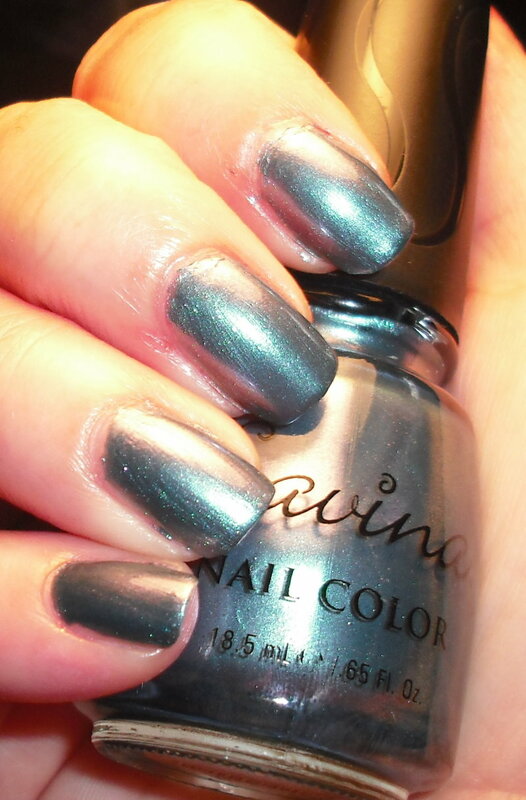 This is very pretty polish! When I saw the name I thought "that has NO black in it", but I get the pearl reference. Great color. Can't wait to see your haul swatches! Wow it has so many different shades, thanks for all the different angles! Amazing colour. And hooray for new hauls! I have one coming too. I love new polish! You are too sweet, Steph. 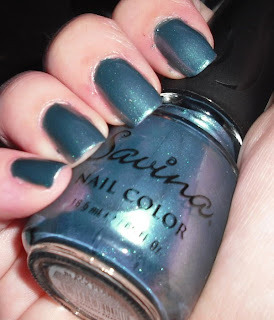 :) I am currently falling in love with teals, and paired with my exisiting love of shimmers (I bought two Rimmel shimmers today that look practically like dupes of other colours at home, that's how much I love shimmers, can't stop buying similar ones! ), this Black Pearl is beautiful!